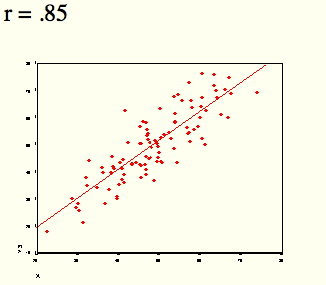 We’re used to seeing correlations reported, often between variables that have been standardized so that both are normally distributed. I’ve written about this many times in the past: Success, Ability, and All That , Success vs Ability. 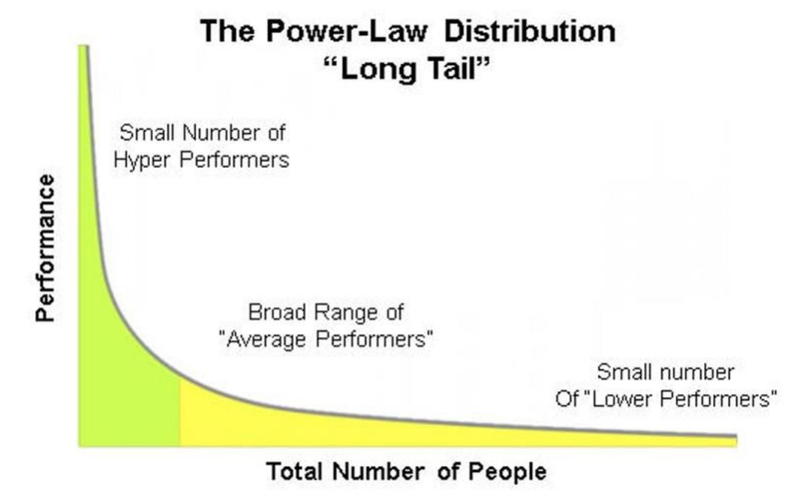 Of course, it might be the case that better measurements would uncover a power law distribution of individual talents. 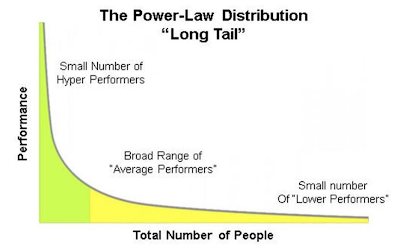 But it’s far more plausible to me that random fluctuations + nonlinear amplifications transform, over time, normally distributed talents into power law outcomes. The largely dominant meritocratic paradigm of highly competitive Western cultures is rooted on the belief that success is due mainly, if not exclusively, to personal qualities such as talent, intelligence, skills, smartness, efforts, willfulness, hard work or risk taking. Sometimes, we are willing to admit that a certain degree of luck could also play a role in achieving significant material success. But, as a matter of fact, it is rather common to underestimate the importance of external forces in individual successful stories. It is very well known that intelligence (or, more in general, talent and personal qualities) exhibits a Gaussian distribution among the population, whereas the distribution of wealth – often considered a proxy of success – follows typically a power law (Pareto law), with a large majority of poor people and a very small number of billionaires. Such a discrepancy between a Normal distribution of inputs, with a typical scale (the average talent or intelligence), and the scale invariant distribution of outputs, suggests that some hidden ingredient is at work behind the scenes. In this paper, with the help of a very simple agent-based toy model, we suggest that such an ingredient is just randomness. In particular, we show that, if it is true that some degree of talent is necessary to be successful in life, almost never the most talented people reach the highest peaks of success, being overtaken by mediocre but sensibly luckier individuals. As to our knowledge, this counterintuitive result – although implicitly suggested between the lines in a vast literature – is quantified here for the first time. It sheds new light on the effectiveness of assessing merit on the basis of the reached level of success and underlines the risks of distributing excessive honors or resources to people who, at the end of the day, could have been simply luckier than others. With the help of this model, several policy hypotheses are also addressed and compared to show the most efficient strategies for public funding of research in order to improve meritocracy, diversity and innovation. Nonlinearity and Noisy Outcomes: … The researchers placed a number of songs online and asked volunteers to rate them. One group rated them without seeing others’ opinions. In a number of “worlds” the raters were allowed to see the opinions of others in their world. Unsurprisingly, the interactive worlds exhibited large fluctuations, in which songs judged as mediocre by isolated listeners rose on the basis of small initial fluctuations in their ratings (e.g., in a particular world, the first 10 raters may have all liked an otherwise mediocre song, and subsequent listeners were influenced by this, leading to a positive feedback loop). It isn’t hard to think of a number of other contexts where this effect plays out. Think of the careers of two otherwise identical competitors (e.g., in science, business, academia). The one who enjoys an intial positive fluctuation may be carried along far beyond their competitor, for no reason of superior merit. The effect also appears in competing technologies or brands or fashion trends.